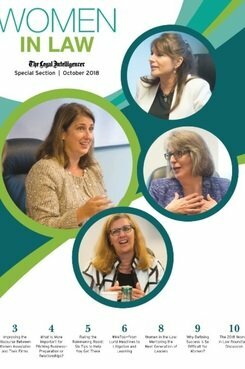 In the Legal's Women in Law supplement, read about improving the discourse between women attorneys and their firms, ruling the rainmaking roost and why defining success is so difficult for women. In the Legal’s Women in Law supplement, read about improving the discourse between women attorneys and their firms, ruling the rainmaking roost and why defining success is so difficult for women. Attorneys are sometimes faced with a difficult tightrope walk between being zealous advocates for their clients and maintaining deference to the judiciary. More than ever, law firms are relying on lateral recruiting as a primary growth strategy for increasing revenue. Unfortunately, many lateral hires fail to meet law firm expectations. How does a bonus vacation, in reality, truly change the life or mental health of associates who spend two-thirds of their waking weekday hours billing (not at work or commuting, as that figure would be greater); whose worth is measured and rewarded in six-minute increments? It doesn’t.